Helen has been with the company since 2002. She holds a Bachelor of Arts in Sociology from Westmont College, Santa Barbara, CA, and Bachelor of Science in Computer Science from CSU Chico, Chico, CA. She has previous editing experience in the Seismology Department at UC Santa Cruz. Wendy started the business more than 25 years ago. Through word of mouth her business has flourished over the years and today she has edited well over 1,000 dissertations, as well as some journal articles, manuscripts, and legal and business documents. She recently contributed a chapter to the book Dissertation Ally: A Friendly Guide to Writing, Editing, and Getting It Done, by Kathleen Rowley. Kelli has been with the company since 2007. She holds a Bachelor of Arts in English with a minor in French from Mount St. Mary’s College, Los Angeles, CA. She has experience as a dissertation reader for the University of La Verne and worked as an assistant editor for F&I Management and Technology magazine, a business-to-business publication. Currently, she also works as a writing instructor at Indian Hills Community College in Ottumwa, IA. Once a secretary at the University of La Verne in La Verne, California, Wendy Wood was recruited to help a coworker format and edit his dissertation. That one dissertation led to more inquiries about Wendy’s services and now, 25 years later, mainly by word of mouth, Wood Editing Services has completed well over a thousand dissertations at many schools including the University of La Verne, University of San Francisco, USC, Argosy. 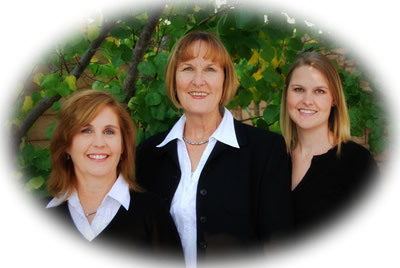 Our team currently consists of three people: Wendy Wood, Helen Matter, and Kelli Wood. Our goal is to make the dissertation process as quick and easy as possible for students. We know that you have worked hard to get to this point, and we will do everything we can to make the rest of the process as easy and stress-free for you as possible.